"I don't dwell too much in the what is. I spend much more of my time thinking about what isn't." 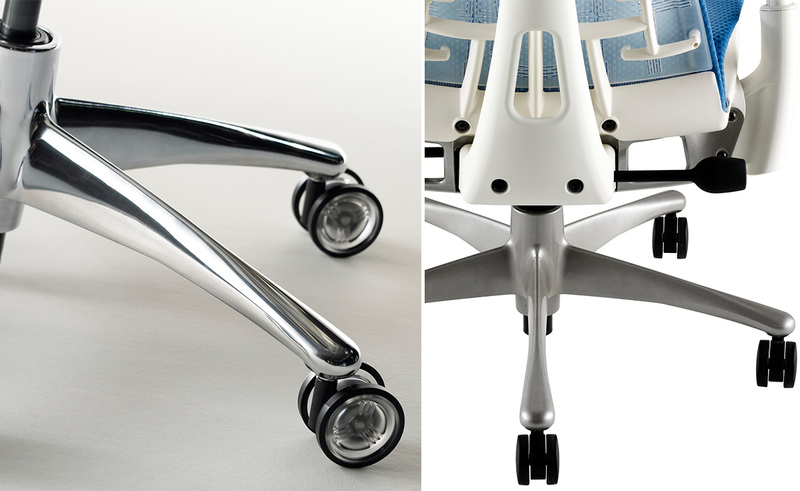 Jeff Weber and his visionary design partner Bill Stumpf set out to create a chair that solved a problem no one else was addressing-the lack of harmony between people and their technology. 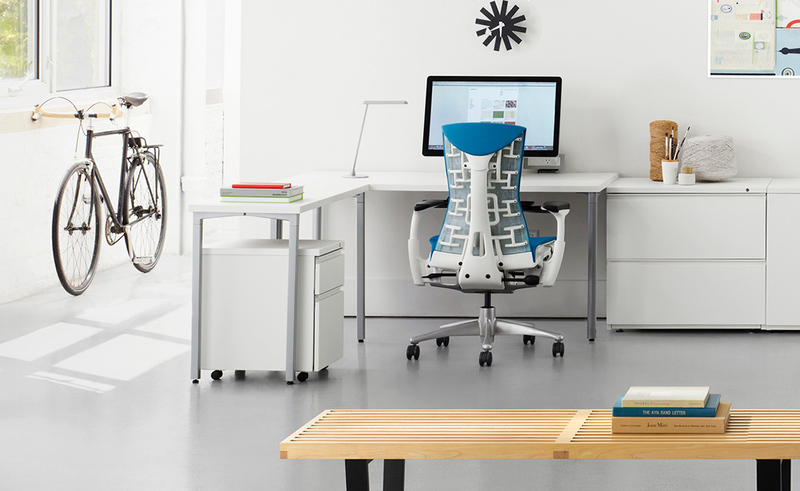 Introducing Embody, the first chair designed to support your body and mind. 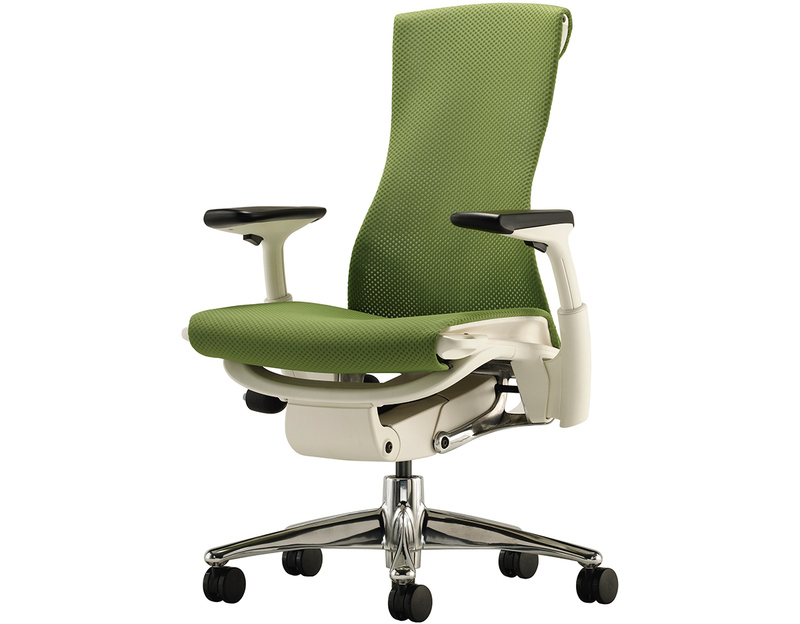 Every part of the chair was designed to serve a specific, healthful purpose. Embody's Pixelated Support technology automatically conforms to your body's micro-movements, distributing your weight evenly. This improves blood flow, lowers resting heart rate, and eliminates discomfort and distractions. 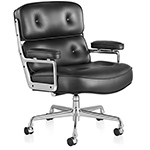 The feeling is as if you're floating in your chair. Embody's back is inspired by the human spine. 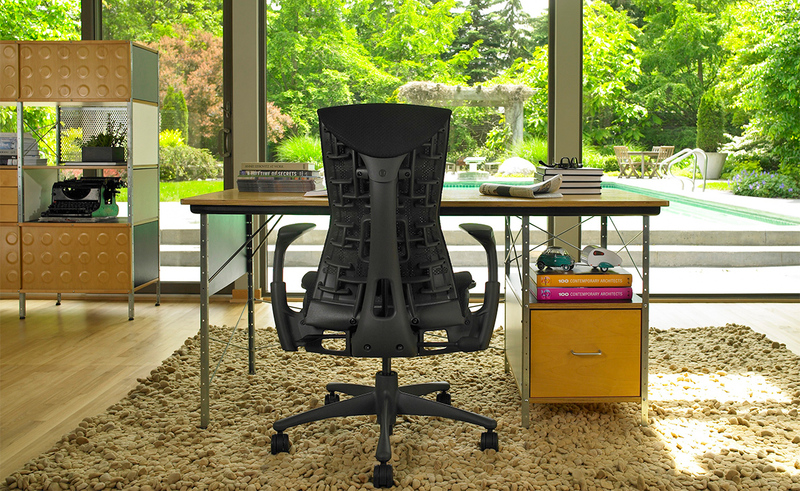 As you twist and turn in your chair, Embody moves with you. 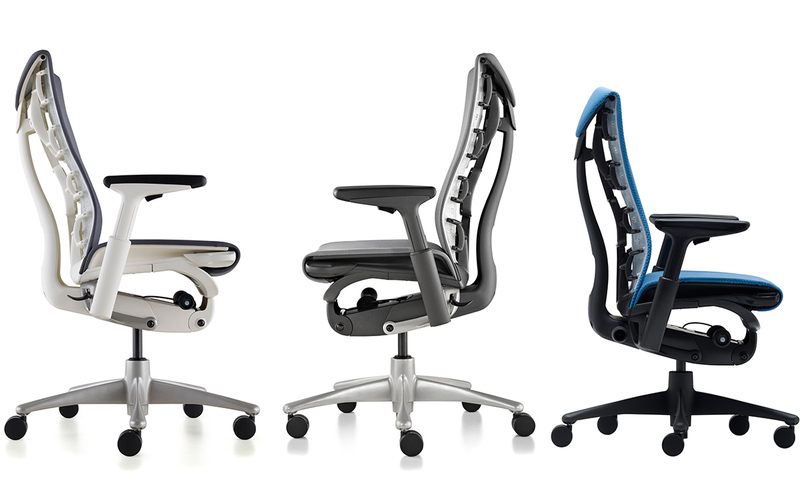 Its Backfit adjustment adapts to the unique curvature of your spine while you move freely and naturally. 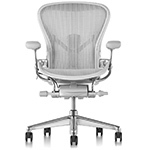 The chair's covering was made to behave like skin. 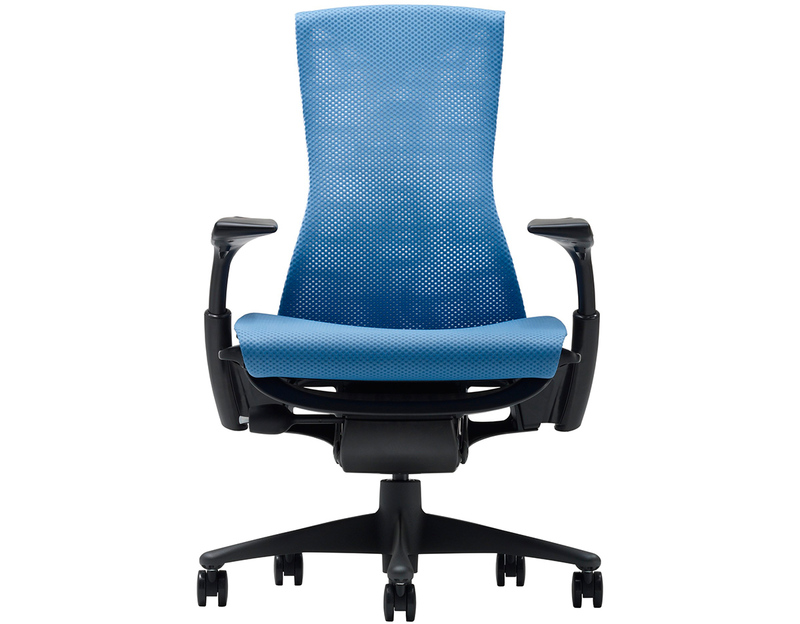 Herman Miller, in collaborated with materials designer Susan Lyons, created a new textile specifically for Embody. 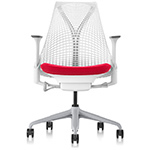 The fabric would cushion the sitter, is breathable, translucent, and resilient. 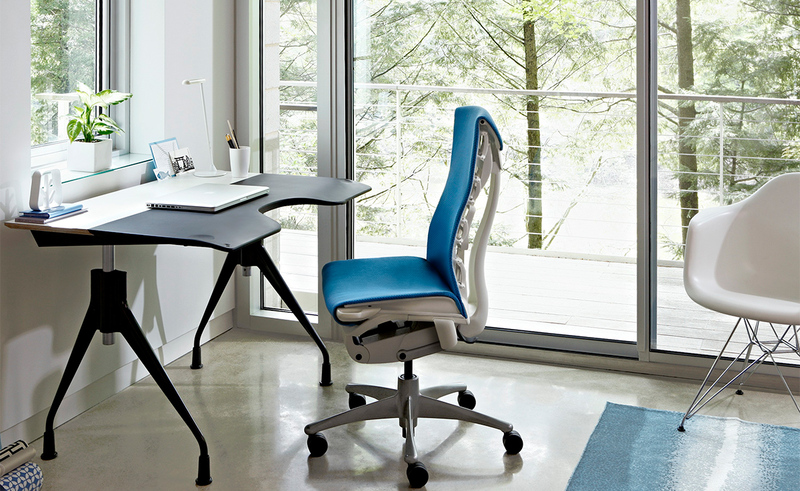 The chair's tilt provides three zones of support, introducing a new model of kinematics that stabilizes the pelvis and supports the upper back without pressure on the thighs. 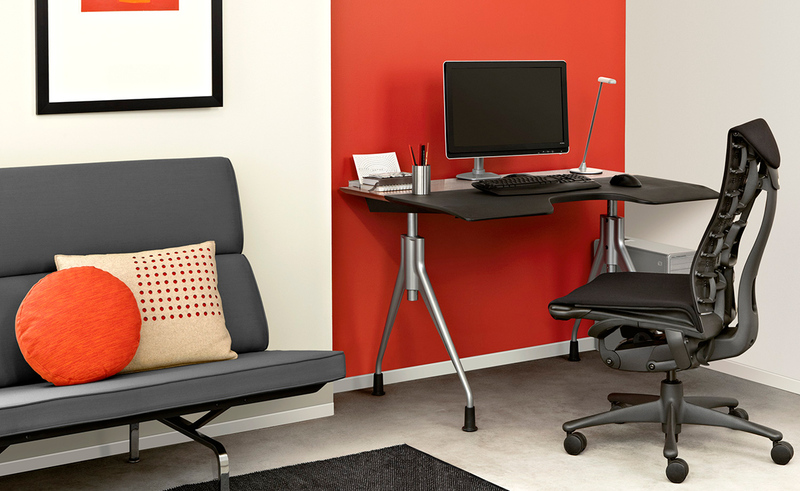 Combining simple adjustments with instinctive design, Embody fits a wide assortment of body sizes, shapes, and spinal curves, in all kinds of workplaces. One size for all. 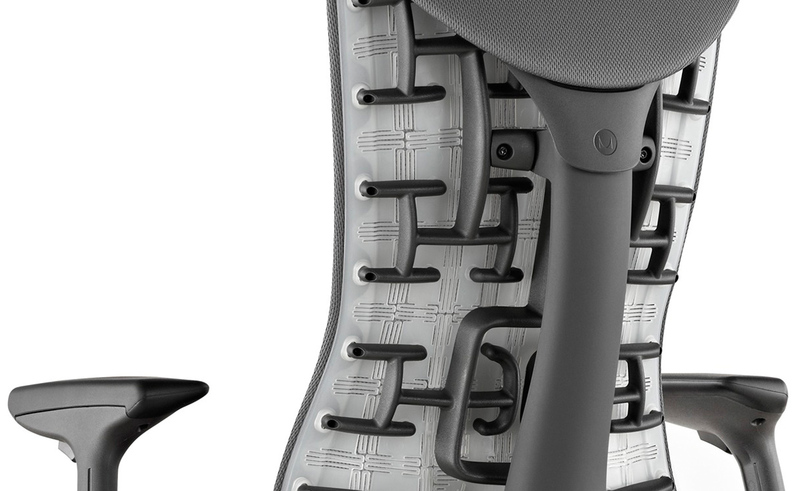 The seat depth adjusts from 15" to 18". 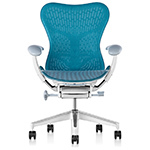 The chair has a 5-star base and standard-height range options. 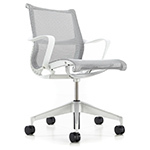 Arm choices include no arms or fully adjustable arms (adjust 6" vertically and 6" horizontally). 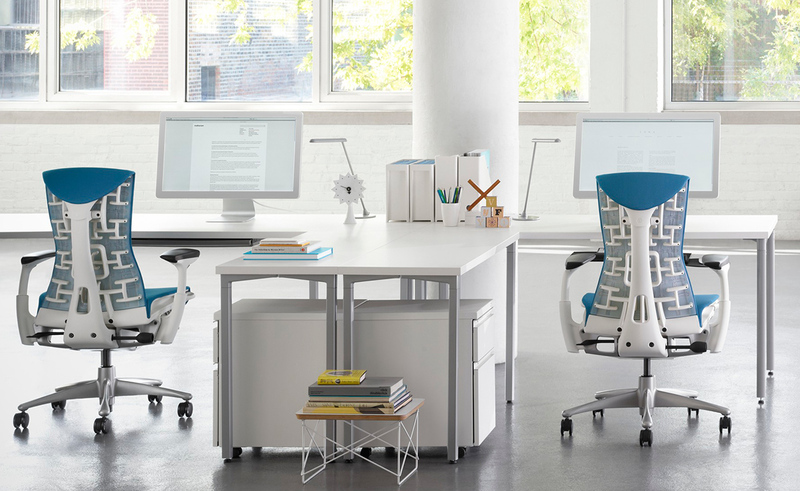 Embody is built in Michigan at Herman Miller's Greenhouse facility using 100% green energy, it uses no PVCs, is made with 42% recycled content and is 95% recyclable. 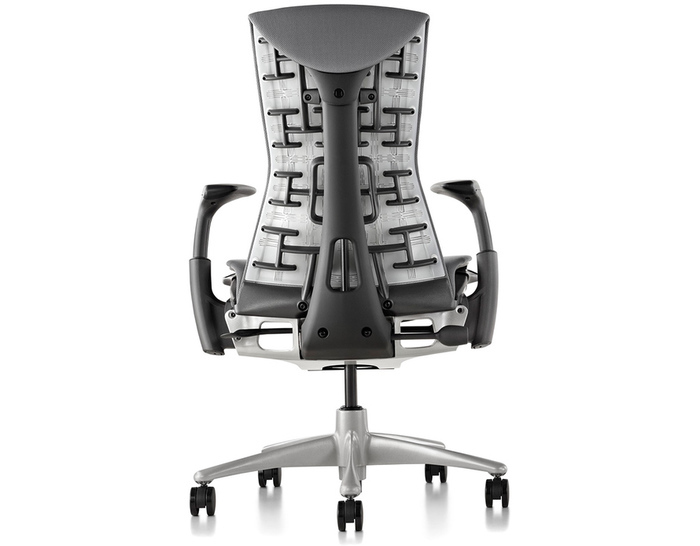 Chairs with either 3512 carbon & 3513 black balance fabric and graphite frame finish, receive a back mat in graphite. For all other options, the back mat is translucent. $1,245.00 + free threshold delivery in the continental U.S.
wei shao, more than a month ago. 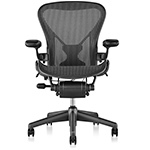 The chair is indeed more comfortable than those much cheaper ones on amazon (around 200$), but surely not in a significant way.I'm not sure the extra 1000+$ worth the slight comfort. Besides, the plastic material is good for keeping the weight low, but doesn't feel premium. And it also squeaks when sitting on it. All of this can't justify the price.